Never worry about your wig losing its shape and style again. 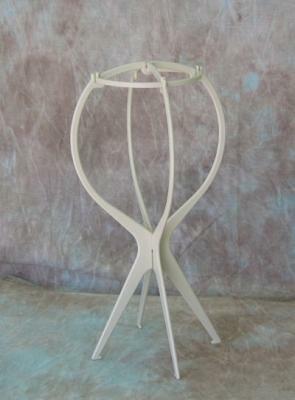 You are sure to get a kick out of this Travel Folding Wig Stand. This awesome creation is lightweight, folds flat and travels oh so well. Just think - your wig is safe whether you are at home or on the road. And for a price tag of around $5, they are incredibly affordable. Now, that you realize that you don't yet have one but should, go out and buy a few for your vast collection of wigs. Final Sale: No Returns/No Exchanges.